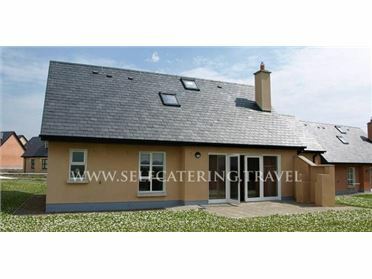 Luxury 3 and 4 Bedroomed holiday homes in sunny Wexford on the South West coast of Ireland. Set in landscaped gardens on the private grounds of a hotel. All cottages are luxuriously furnished and include a maser bedroom en suite, Jacuzzi and open fireplace. Cottages are wheelchair friendly and are well equipped with multichannel TV, dishwasher, washing machine and microwave..